Nowadays time is the most valuable thing we have and everyone tries to spend it effectively. People want to get maximum use from the innovative technologies and received information, so they need to get a relevant information easily and quickly. 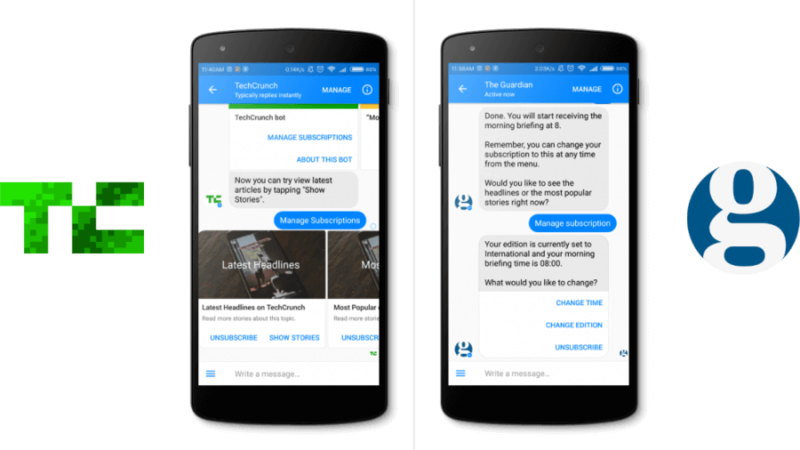 There is an unended battle in the media world to satisfy those two requirements, and the solution is to use chatbots. Facebook chatbots and Telegram chatbots are the most popular now, and counts thousands and even millions of users. Chat with our MOCBot in Messenger! 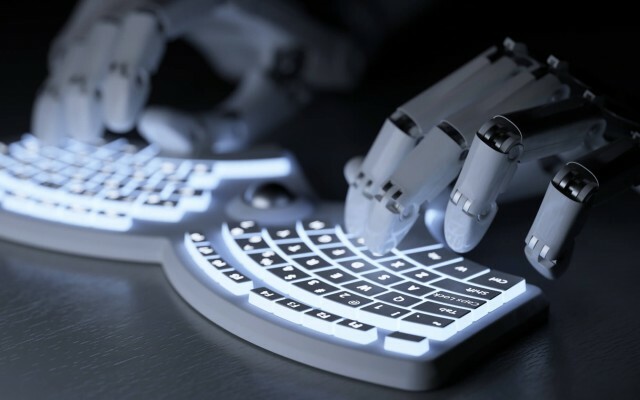 Yahoo News bot has more than 7 million subscribers, Guardian got 6.5 million subscribers, CNN has 24 million subscribers, AI Jazeera English has 8.3 million subscribers and Tech in Asia counts 398 thousand subscribers. The best way for a user to get news from the first hand is to use subscriptions. There is such option in the Guardian bot. Once you said “Hello” to the bot, it will ask you whether you would like to subscribe and when you would like a briefing to be delivered. There is no such content customization in CNN and Yahoo bots, you can only subscribe to the channel. 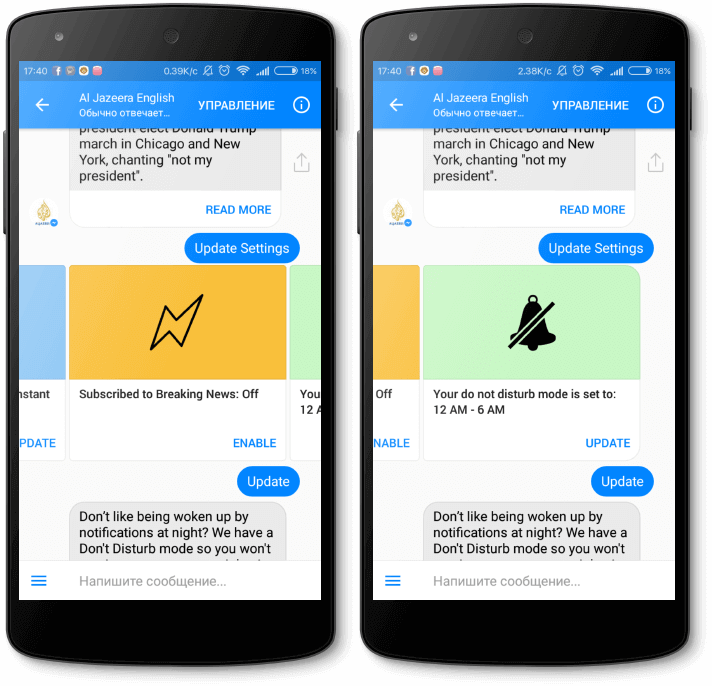 There are more subscription settings in AI Jazeera English news bot: you can customise if you’d like to get notifications once a day, twice a day or immediately, also you can set up ‘do not disturb’ mode. Subscriptions settings are shown as a swing so you can easily check your notification list and notification time. In TechCrunch bot subscriptions are displayed as a gallery, so you can see the detailed information about each or unsubscribe. Also, there is a quick access to such items like TOP-news and your subscriptions. TechCrunch has implemented those items through the key-word “Menu”. 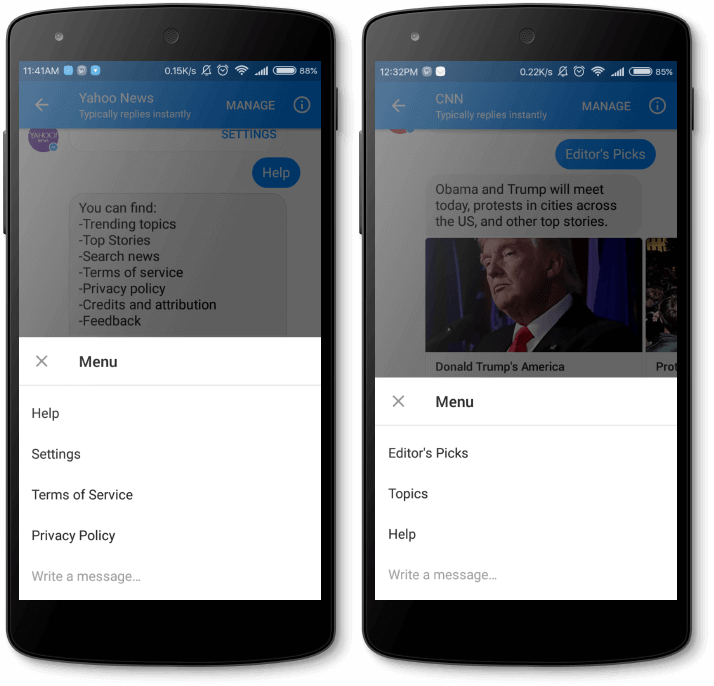 The most varied menu is on Yahoo News and AI Jazeera English bots. By clicking on “Help” you can view a card with the info about subscription, also you can follow or unfollow a subscription there. 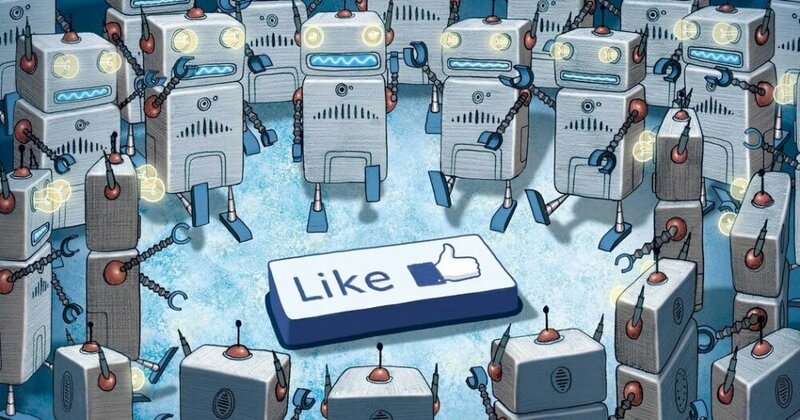 Fast sharing via social media is a typical thing for all сontent chatbots. Users can easily share an interesting article by tapping a button. That’s how content becomes viral. 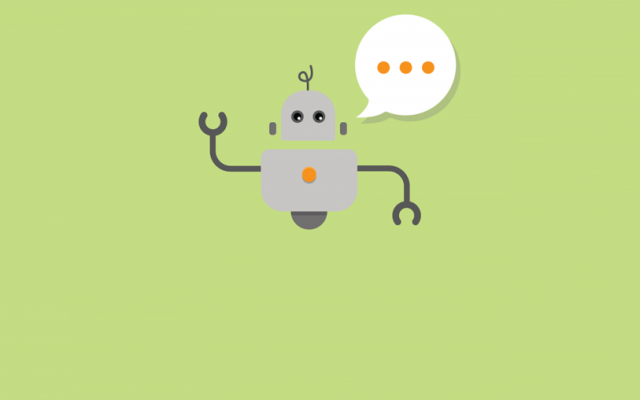 By analyzing media chatbots, a fast access to the menu, sharing, expanded settings, and customization can be distinguished as common advantages of chatbots. That really makes using them easy. Choosing and Changing a ChatBot Platform. Is it Easy or Painful?